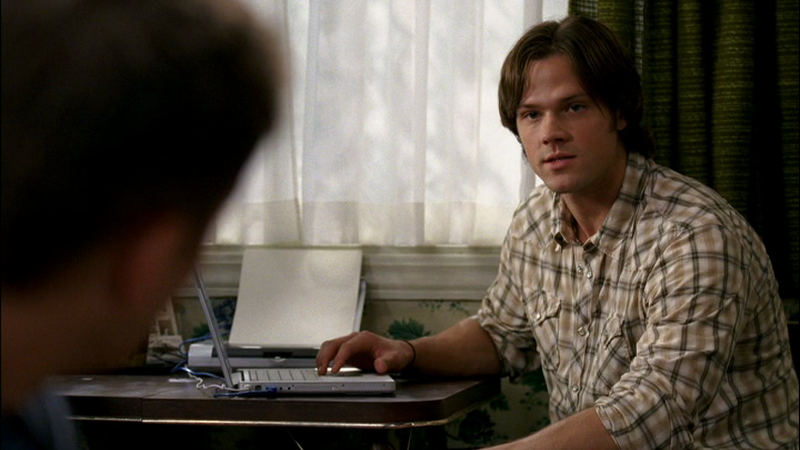 Nothing says Sammy like beige plaid. This shirt was a new acquisition for S2. Either Sam just hadn’t worn it before, of it was lying around Bobby’s house from a previous visit. It’s a medium plaid with dark grey accents. 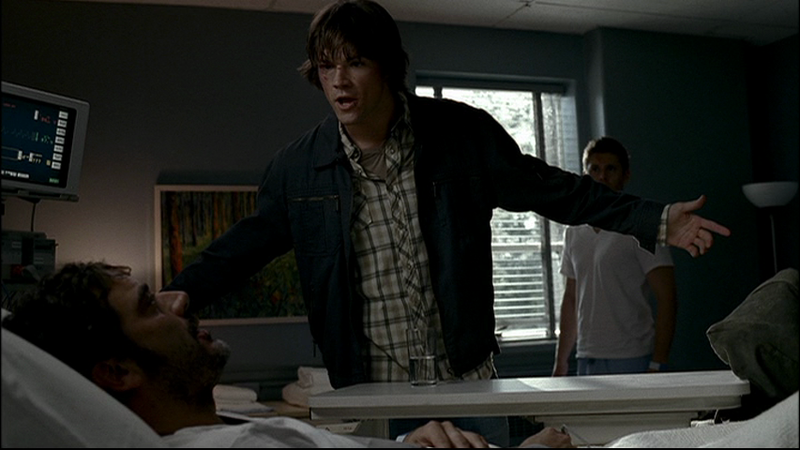 Sam first wears it in In My Time of Dying (2x01), when he returns to the hospital after his visit to Bobby’s to check on the Impala. He wears it for the rest of the episode. I doubt he would have taken the time to buy a new shirt, so this is either something Bobby had on hand, or just one Sam owned but had never worn before. In Simon Said (2x05), Sam wears it for the duration of his time in Guthrie OK (except when he briefly wears a suit). In Roadkill (2x16), Sam wears it from when they meet Molly until the end of the episode. (He is not wearing it in the flashbacks to the time before they met Molly). In A Very Supernatural Christmas (3x08), Sam wears it after the second death, when Bobby tells them they’re morons and Sam researches meadow-sweet and comes up with the Pagan God hypothesis. He then wears it to the wreath store, and then back to the motel for their serious Christmas conversation. After that, he changes into something else.